SVL Chats with Yahoo’s Roberto Ortiz By Guadalupe Carrillo and Alex Ontiveros Minutes after the Manos’ Demo Day on August 27th ended, SVL had the opportunity to do a one-on-one interview with Roberto Ortiz at Yahoo Headquarters. 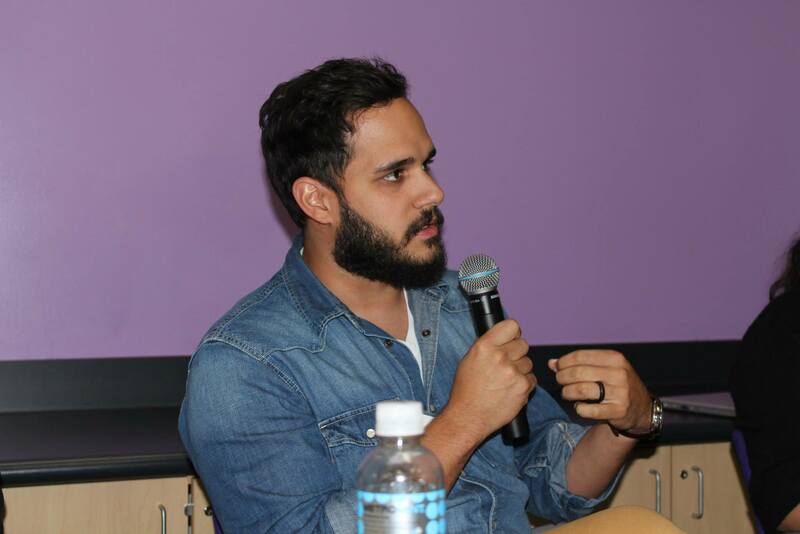 Ortiz is the Director of Mobile Design at the company and he sat down with us to talk about the entrepreneurial mindset and how it helped him get from working at a bodega in Philadelphia as a teenager to now directing a team at Yahoo that focuses on designing mobile experiences used by millions of people daily. Considering that we had just finished watching a group of young Latino entrepreneurs pitch their startups to the industry, our conversation quite naturally landed on the topic of entrepreneurship. As a judge for Manos’ Demo Day, Ortiz had paid close attention to the group’s presentations and he was pleased at how the night went. “I get ecstatic when you bring a group together to go after something that is big—something bigger than themselves,” he says with genuine excitement. Ortiz gives kudos to anyone who has the courage to go up on a stage and say, “I’m working on this and I believe in this product.” Where this kind of entrepreneurial mindset comes from and how more young folks can learn to cultivate it is an issue that Ortiz is clearly passionate about. He describes this mindset as way of thinking. As he sees it, it is a mode of viewing the world that allows a person who has never built a wall before to have the confidence to say, “I’ve never built a wall before but I know I can do it. I just have to go over there and figure it out.” A son of Puerto Rican Immigrants, Ortiz developed this confidence and mindset as a teenager in Philadelphia. While his mother was busy working and raising five kids (his father passed away when he was young), Ortiz had made some bold moves starting at age twelve. Looking to put some cash in his pocket, he asked the local restaurant owner if he could have a job sweeping the floors. When he wasn’t working, he would be teaching himself tech. According to Ortiz, he spent a lot of time “hacking away at web design and front end work as a teenager.” His love of tech and his entrepreneurial mindset came together when he approached business owners in Philly—from the local restaurant owner to the guy selling tacos at the corner—and offered to build them a website for free because he just “wanted the experience.” Ortiz eventually started making money for his services. It was “empowering” to see that someone would pay you for your talent, he says. “I think that changes the way you think,” he reflects, “once you get a taste of that early on, it’s just momentum building, and it gives you the confidence to say, ‘I can go figure this out’.” The momentum continued to build for Ortiz. His mother, though busy, made sure her son was part of educational programs that harnessed his talent for tech. And by the time Ortiz was seventeen years old, the technology company Lockheed Martin had recruited him for a full-time job. He later decided to attend college for a business degree. Now, Roberto Ortiz is a seasoned web and mobile designer and has worked in some of most innovative tech companies in the world. He is also an emerging leader both inside and outside the tech industry. 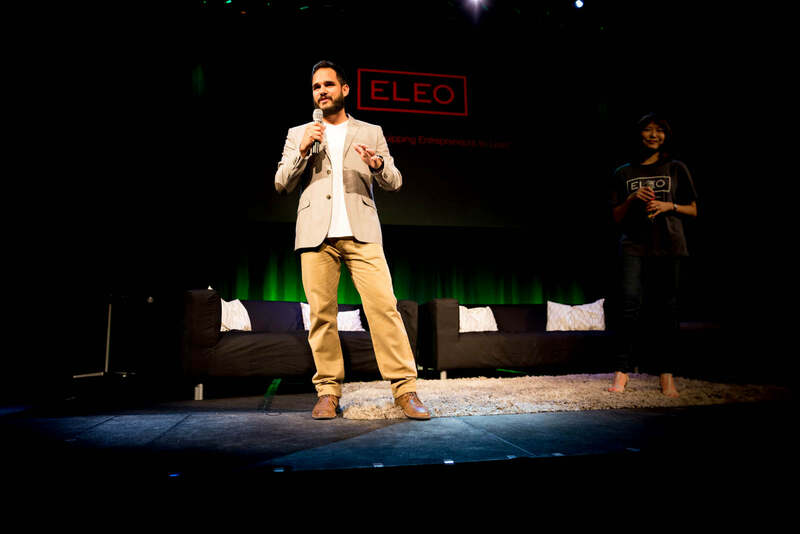 Indeed, Ortiz is the co-founder of ELEO, a leadership conference for aspiring and experienced entrepreneurs in Silicon Valley, so it is no surprise that he enjoys thinking about how to inspire and help the younger generation to go after their dreams despite where they started. What drives people “to not be a product of their environment” is a worthwhile conversation to have in our communities, he says. According to Ortiz, people can easily become content with just living paycheck to paycheck and not making the most of their natural talents and strengths. He calls this a “mindset of contentment.” When he talks with his own family members or high school students, he sometimes hears this mindset whenever they say to him, “I don’t know how to do this,” or “I’ve never done this before.” His reply to these statements is always, “well, let’s go over there and do it!” It is important to challenge that mindset of contentment, Ortiz suggests. While he understands that there is nothing wrong putting in an honest day’s work in order to pay the bills (his parents, like many immigrants, worked to support the family), he still thinks folks can build that confidence to go after a career that makes the most of their potential. “I encourage people not to just settle and be content so fast; I say give it a shot, go for it, and try to get something going” Ortiz tells us. He similarly encourages the new entrepreneurs that he saw on Demo Day to think big. Ortiz loves seeing that a lot of their business ideas and technological innovations come directly from the experience of being Latino—for to be an entrepreneur is to draw inspiration from “everyday life,” he says. However, Ortiz also thinks that their unique set of experiences gives these entrepreneurs a vantage point from which to reach a global market. “You start niche because that’s your backyard,” says Ortiz, “but there are so many opportunities for pivots.” If Ortiz’s personal story can serve as any type of roadmap for those wanting to reach their potential, these entrepreneurs will simply need to build something that they have never built before—and be okay with that.